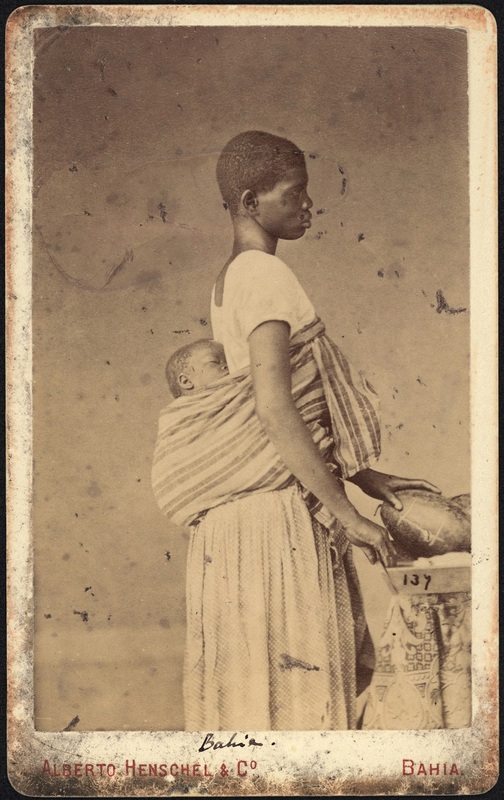 Alberto Henschel (1827-1882) was a German-born Brazilian photographer from Berlin. 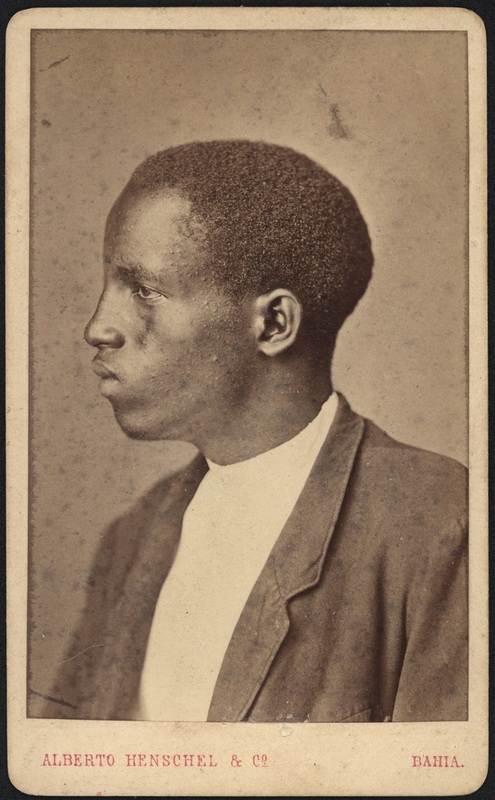 An energetic, enterprising businessman, he established photography studios in the cities of Pernambuco, Bahia, Rio de Janeiro and São Paulo. 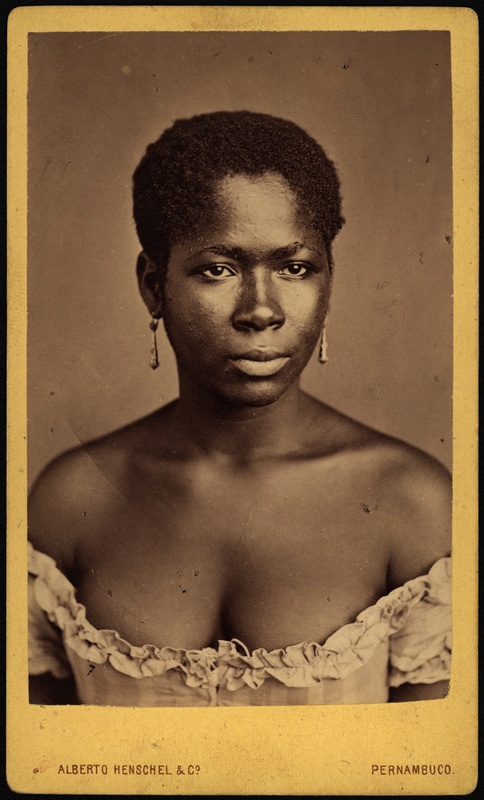 While known as both a landscape photographer and, for some time Photographo da Casa Imperial (Photographer of the Royal House) during the reign of Pedro II, his main legacy has been his visual record of the social classes of Brazil. 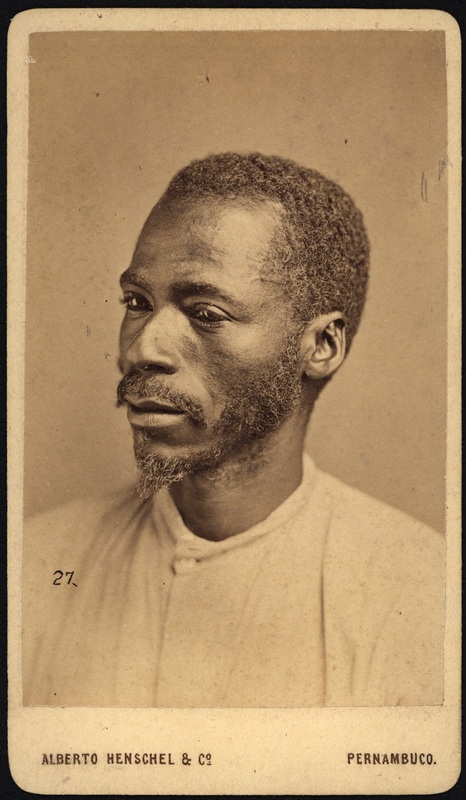 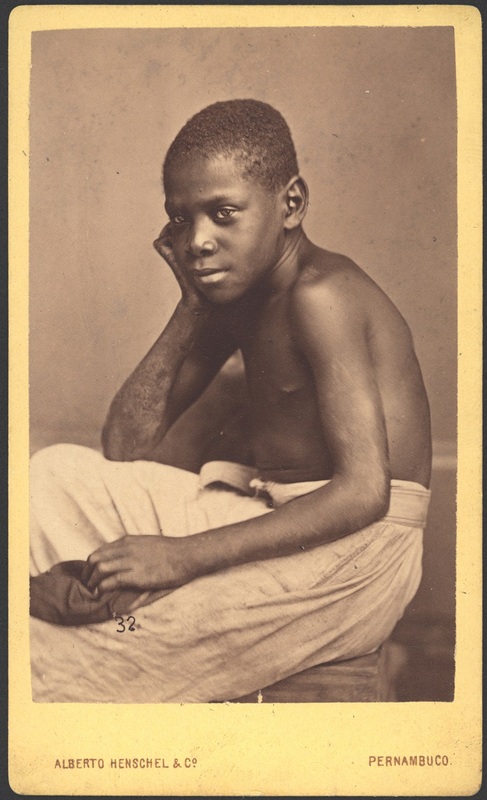 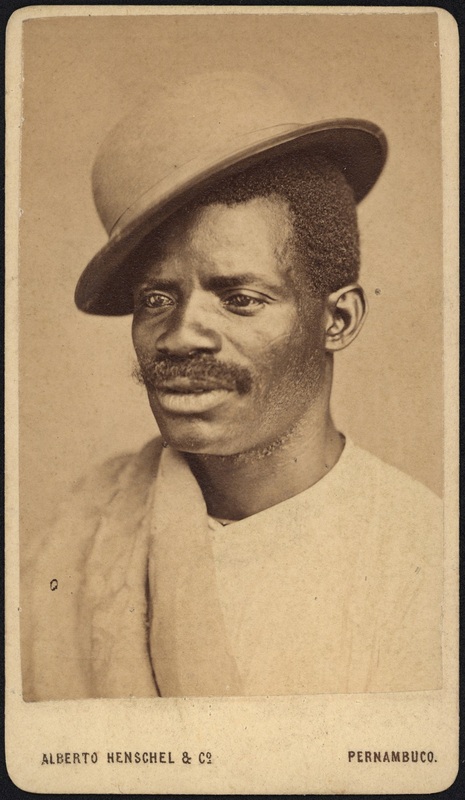 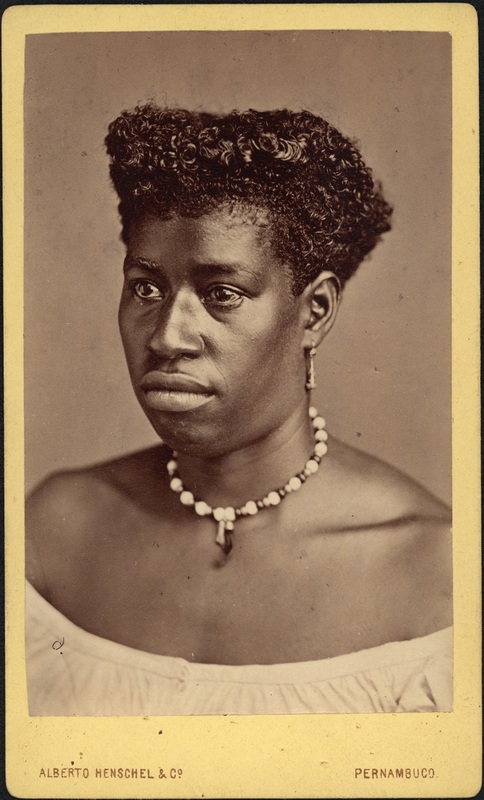 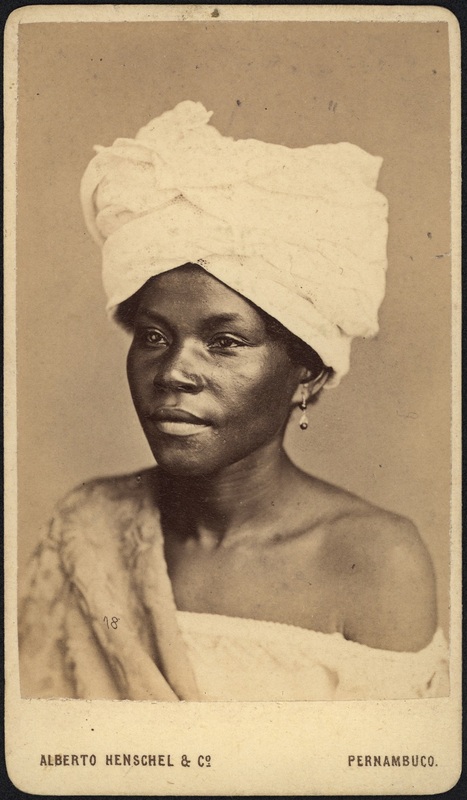 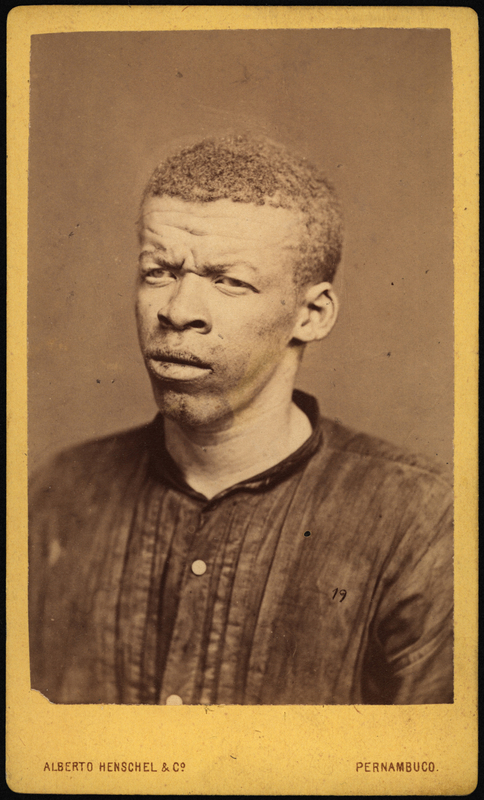 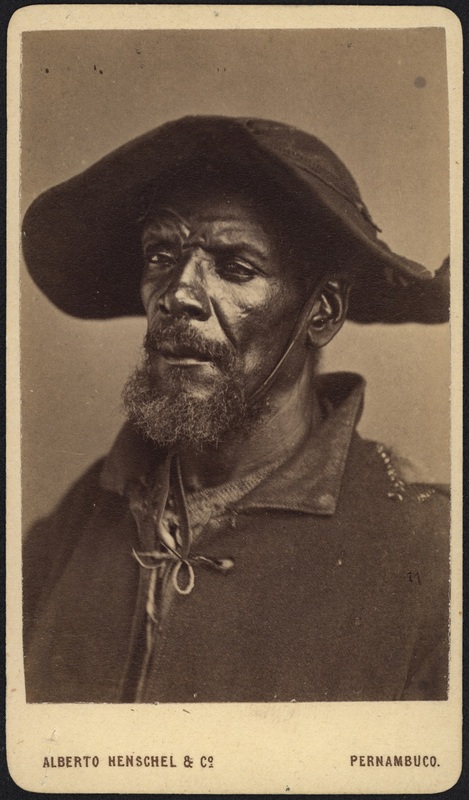 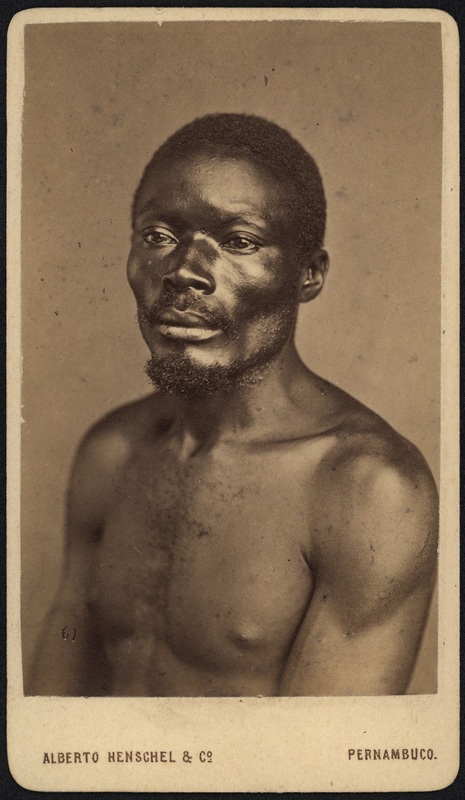 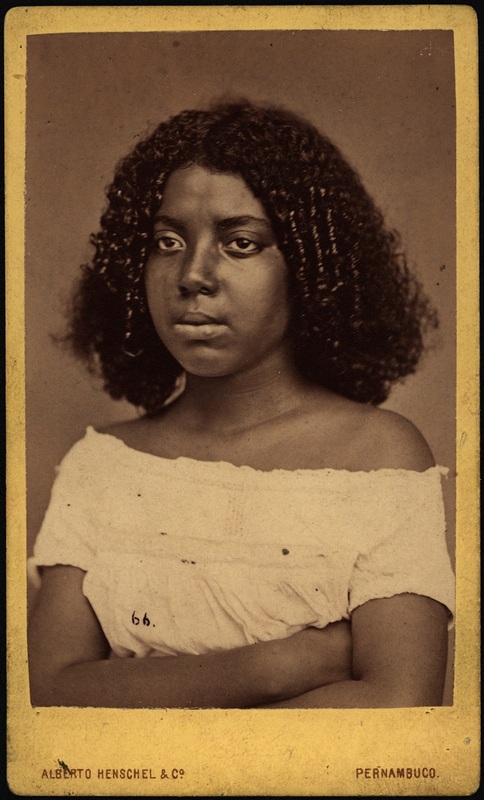 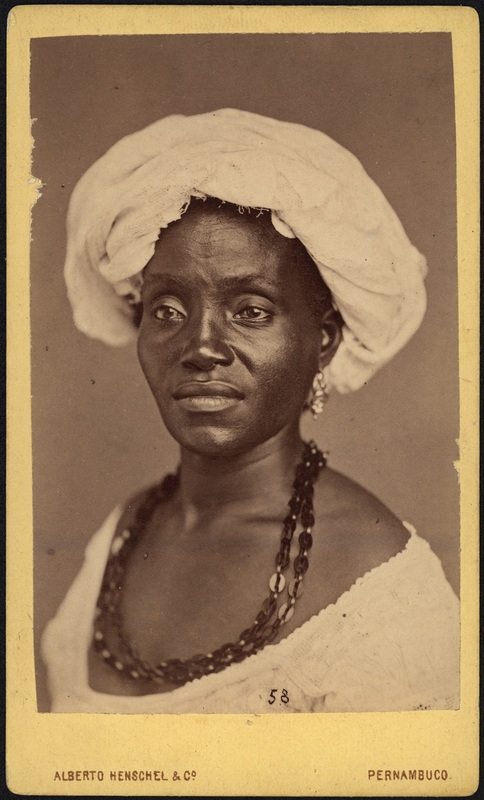 His portraits were often produced in the ‘carte de visite’ format, and included the nobility, wealthy tradesmen, the middle class and, most interestingly, Brazil’s black people – whether slaves or freemen/women. 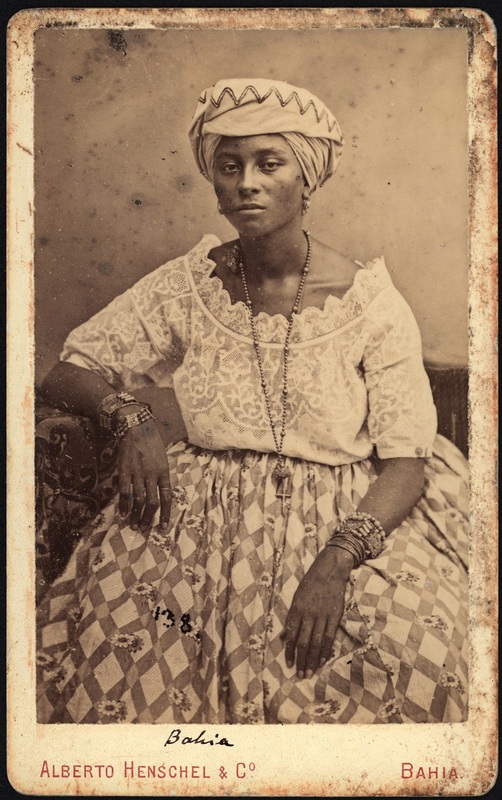 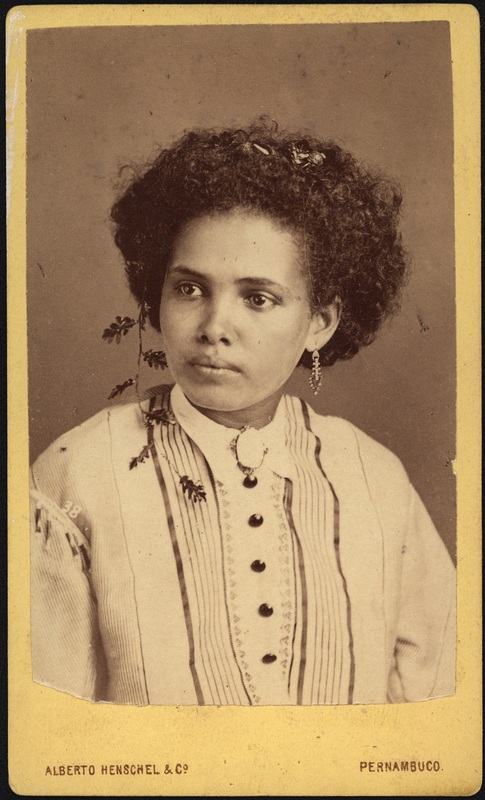 These portraits were taken during the decades before the Lei Áurea, the slavery-abolition law of 1888.
da fotografia no Brasil foi o registro fotográfico de todos os extratos sociais do Brasil oitocentista: retratos, geralmente no padrão carte-de-visite, foram tirados da nobreza, dos ricos comerciantes, da classe média e, mas certamente, dos negros – tantos livres como escravos (em um período ainda anterior à Lei Áurea.